After ogling so many Japanese Washi paper adhesive tapes, in all their bright colors and sweet prints I wondered if, in a pinch, you could get a similar effect using plain out masking tape. Using a patterned ink stamp and some baby blue ink, the masking tape was covered in little doodle flowers. The easy part was wrapping it around the gift as you would for a ribbon. 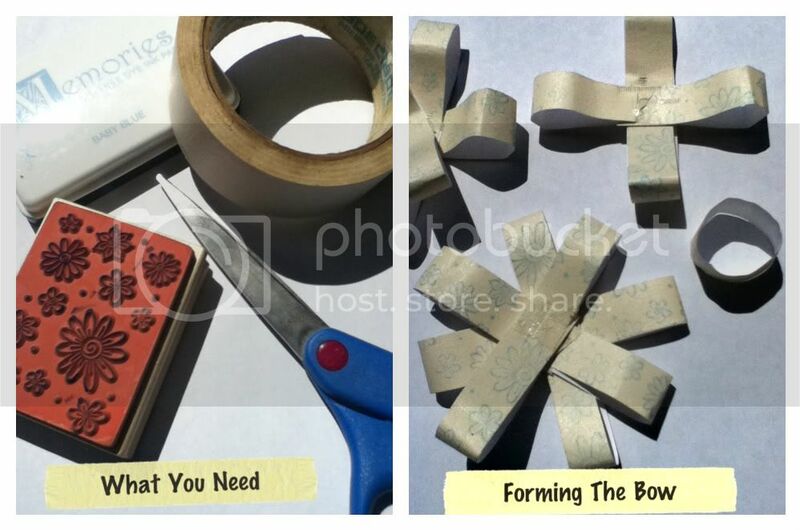 Making the bow was a little more time consuming because the tape needed a backing. 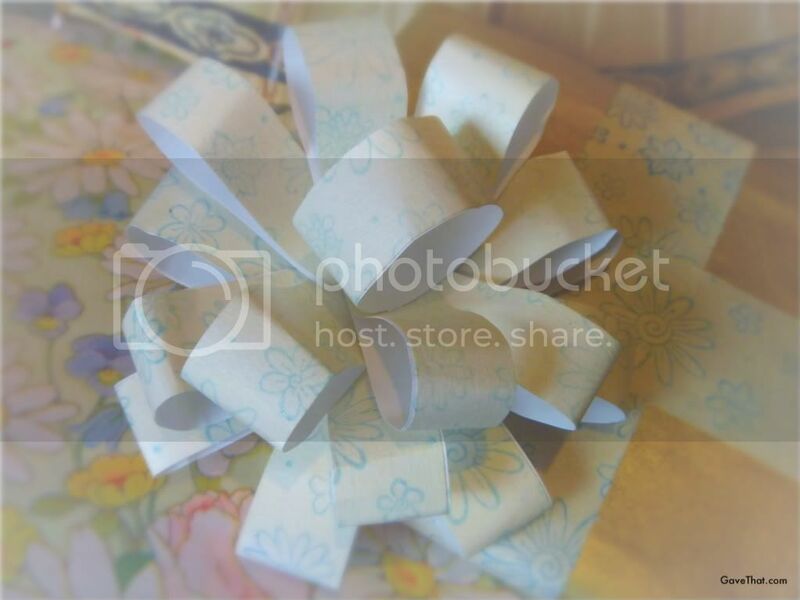 Plain out white, recycled paper was used and a classic knot-less bow shape did the trick. I'm going to invest in some real Washi tapes as I can see what a savior these can be and a less permanent choice to plastic deco tapes. 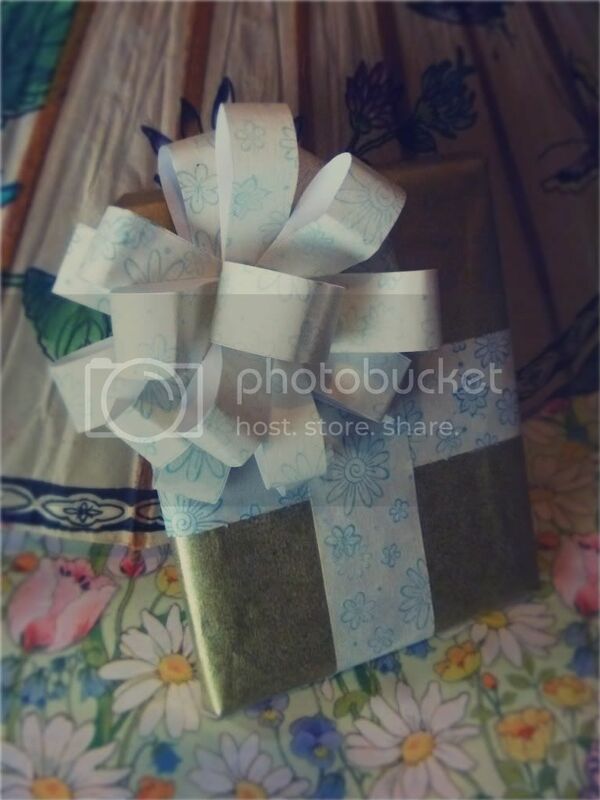 For more gift wrap designs see my gift wrapping area here.